Cute as a button & all the charm, this quality KB home has new paint, solid hrdwds, a new roof (9/2017), window coverings, & sits tucked away on the perfect courtyard corner lot!The main flr basks in sunshine hosting the open family rm perfect for gatherings & fun, adorable kitchen w/tile counters, serving island, ample cabinets, large pantry & SS appl. Dedicated table space, quaint powder bath, & marvelous mud room/laundry combo leading the way to the 2 car attached garage, for the utmost convenience. 2nd flr holds the large master w/2 w/i closets, & private ensuite bath w/double sinks & linen closet. As well, 2 addt'l spacious bdrms, full bath & another linen closet for all your storage needs! 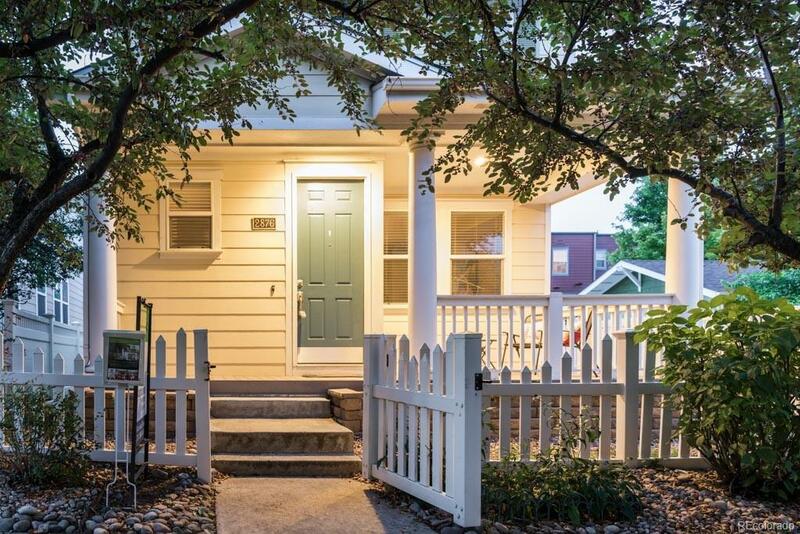 Your exterior will surely please w/adorable front porch, 2 private side yards, ideal for a dog run or gardening space, & prof landscape w/drip system! Walking & biking paths right out your front door, youll love the prime location & ease to the Town Center, Central Park or Aviator pool.